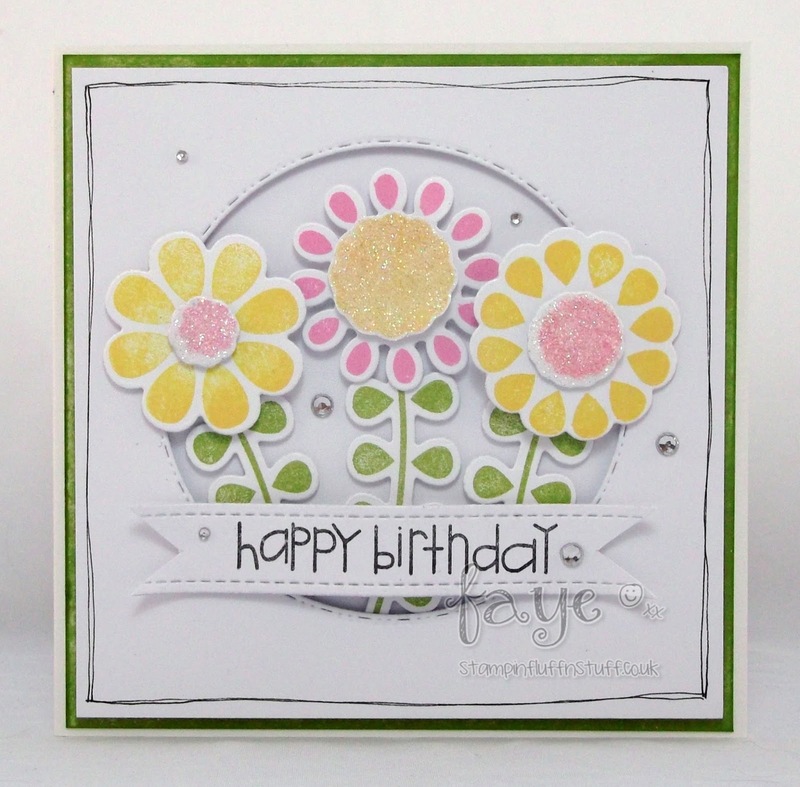 I'm popping by to share the final card in the Bloomin' Lovely Trio I made for Dies to Die For. It's a while since I made this now, and looking at it, I realise how much 'work' with all the stamping, die cutting and various layers, there was with this, compared to my normal style. That said, I think this is my favourite of the three cards. I'll be back tomorrow (if I remember to schedule the post I should have done on Friday!) with some colouring. Very pretty card Faye, love the colours. Oh, I love, love, love... So bright, cheery, colourful and just plain happy! Hi Faye! I'm so used to seeing you color up an image. But I love love this stamp and dies cut bloom card. So stunning! So sweet and pretty Faye.